Great customer service used to require employees, which are expensive. No wonder it only kicked in when things went wrong. Great customer service used to require employees, which are expensive. No wonder it only kicked in when things went wrong. In recent years, however, digital-first businesses have grown fat off a knack for deploying innovative customer service offerings as showpieces for their brands. In banking, an Ernst & Young study found that “customer experience is the most common reason for opening and closing bank accounts, more so than fees, rates, locations and convenience”. What’s interesting is that, in industries in which “good enough” really used to be good enough, the right blend of creative thinking and maturing tech is increasingly turning customer service into a highly-differentiated competitive advantage. …a 2017 consumer survey conducted by Money Saving Expert ranked DPD as the UK’s most popular courier, nudging Royal Mail into second place. Tech-savvy customer service is clearly part of the appeal. 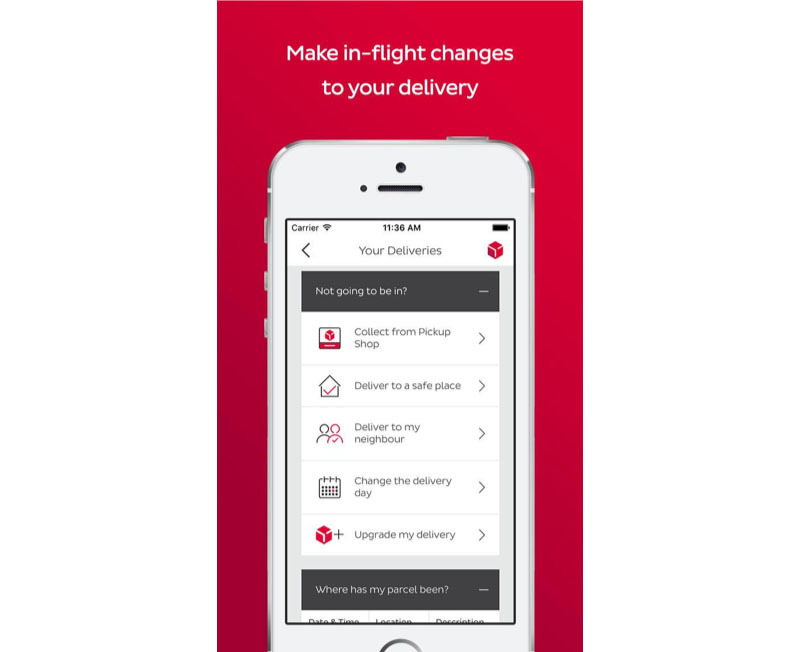 As well as one-hour delivery slots, DPD’s “Predict” service also includes GPS parcel tracking and – most exciting and useful of all – the ability to amend your delivery instructions when the parcel is already in transit. The extra control you have over your delivery is an important example of how simple technological strategies can be adapted to make customers happy. There is no data (that I’ve seen) to prove that the core service, of having a Royal Mail Parcel delivered, is any better or worse than that provided by a competitor. And faced by relatively inexperienced competition in the early ’10s, Royal Mail could be forgiven for having presumed its market-leading position would go unchallenged. Sure, customers would wait hours for a delivery, and be forced to reschedule if they chose the wrong 10 minutes to take a shower. But at least the experience was the most reliable going. Today, after 5 continuous years’ of decline in Royal Mail’s share price and no end in sight, that line of thinking can no longer stand. If you think your “good enough” customer service really is good enough, keep a close eye on your digital-savvy competition because they’re almost certainly plotting something special to lure your customers away. Customer service always musters an emotive response, whether it’s good or bad. Being told your parcel is passing through Swanage at 11:13am may be practically useless, but it’s still nice to know. This emotional value is no more important than in banking, where a feeling of security and control is a must – and where customers were initially hesitant to put their trust in digital services. 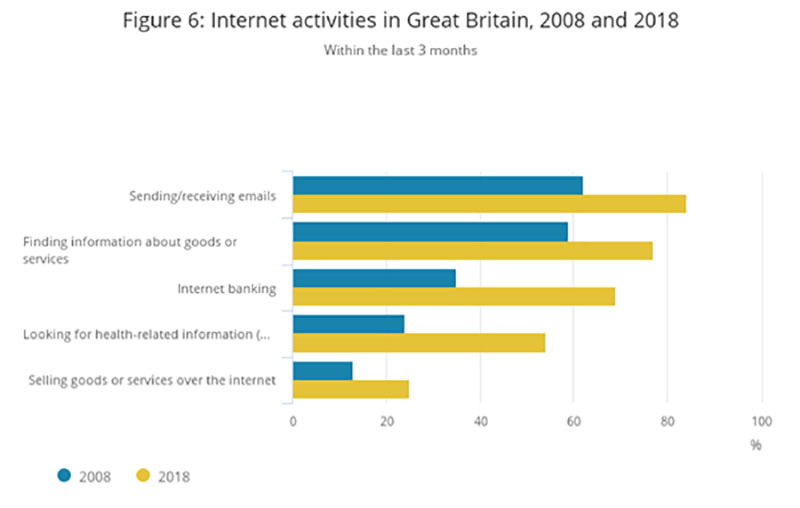 Today, however, 65% of people check their balance at least once a week according to Money Advice service, and there is a clear consumer preference for banking activities that take place online illustrated by the table of contents in this internet access survey by Gov UK. Banks took this as a welcome cue to shut down expensive branches, and they continue to do so with gusto. In Britain, 3,000 have closed since 2015. This has created a customer service vacuum, which initially was soaked up by call centres. Soon enough, though, a swath of fintech challenger brands swooped in and began taking care of customers faster, more effectively, and more cheaply than the traditional players. 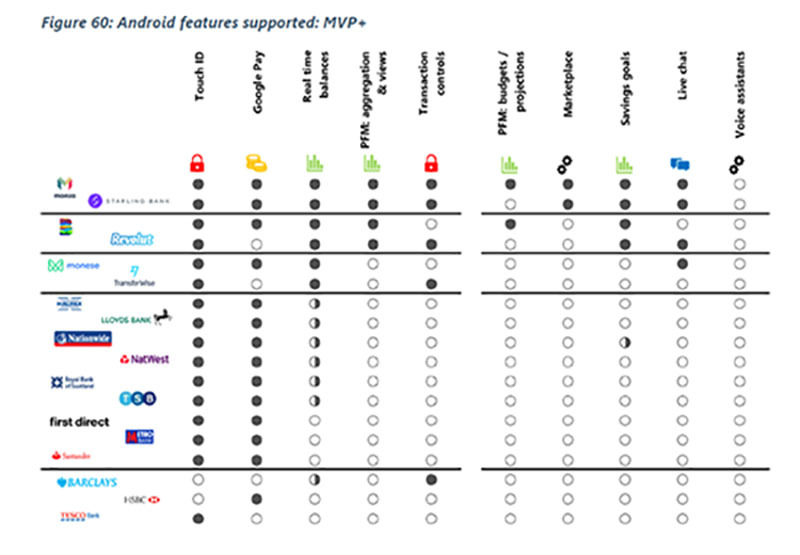 An interesting primary study was undertaken in 2018 by Optima, a specialist payments consultancy, comparing challenger banking apps against those of more established brands. It made some predictable discoveries: out of a possible five stars, users ranked challenger apps an average 0.5 stars higher than traditional banking apps. The stark point of differentiation was on services provided. Tesco, HSBC and Barclays did not fare well. Lloyds, to its credit, has found a great workaround with its in-app chat feature. I recently had cause to complain, and was pleasantly surprised to discover that if I called via the app, I bypassed all those tedious security questions and went straight to the real human I knew I needed from the start. The sector as a whole is upping its game. Customer service is considered the #1 investment priority for banks in all regions except the USA, where it comes second to regulatory compliance. It’s worth pointing out, too, that four large banks still provide 70% of all UK chequing accounts, and that the rise of challengers may in part be due to “multi-banking” – customers seeking out the emotive appeal of challengers whilst retaining their traditional banks. Perhaps the challengers may not necessarily aspire to usurp the old school altogether. Regardless, this is security and control which big banks could have offered themselves. Instead, challenger brands offered it first, relatively quickly, with relatively simple digital innovations around customer service. By providing a fuller range of services, challenger banks have given consumers the emotional connection to their money that they crave. But have they pre-empted the need to make a call in the first place? My gut feeling – even coming from a digital agency – is that you’ll always need the human touch at some level. But that the need will be greatly reduced. …how different the results might have been. The truth is that chatbots can meet every other need currently listed in this survey. Correctly programmed (of course), they can be knowledgeable and polite, provide immediate and personalised responses, and can also route customers to other contact options if needed. They can also – just like the tech innovations that we’ve already seen launch challenger brands to stardom – enable new customer service offerings. The key example of this is the Messenger bot deployed by the airline KLM. It responded to 1.4 million queries in its first year; but above and beyond customer service, the app also issues personalised offers based on user data. This isn’t a drastic departure from a non-digital customer service trend. Employees of Ritz-Carlton Hotels (and now many others) are permitted to spend up to $2,000 to avert a negative customer experience. But the beauty of the digital alternative is that it’s pre-emptive. KLM has not released information of the value of offers issued by its own chatbot, but in reality, most of us can be easily delighted for much less than $2k. Just imagine Ritz-Carlton’s “problems budget” broken up and distributed across all its customers – before they’re angry –enhancing their own specific customer experience with highly personalised service offerings. 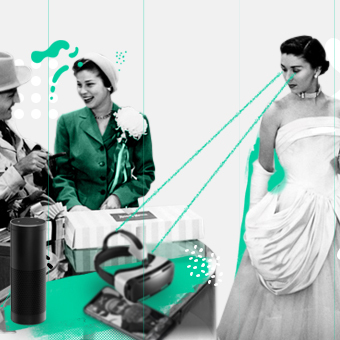 Artificial intelligence has the potential to be the apotheosis of the trend begun, around 10 years ago, by digital-first challenger brands such as DPD. I will only ever commend the brand-side innovator who cooks up new services like they’re spaghetti, hurling them at the boardroom wall. But with adaptive, reactive intelligence baked into your customer service, it should be possible to achieve even greater impact – quite possibly at a fraction of the cost. Whatever form they take, it seems certain that future customer service successes will be driven by the art of the possible: innovating in businesses and industries where an apparent lack of urgent need has left a golden opportunity unfulfilled. Utilities is one to watch – and not just because Tangent is already helping UK Power Networks demonstrate to Ofgem activities and steps they have taken to improve customer satisfaction. A slew of content by consultancy and technology firms (Accenture, Atos, et. al. ), targeting the energy sector, would appear to suggest that the digital customer service “trick” is starting to hit home. No matter how service-disoriented you consider your industry to be, 2019 seems set to be a crucial year for making sure your own brand doesn’t get overtaken, or left behind. Nadine leads the strategy team across the agency’s brand portfolio. With over 12 years experience in both B2B and B2C digital marketing, Nadine has worked with brands such as Coca-Cola, Sainsbury’s, Sky and UK Power Networks to delivery strategic direction on a vast range of projects, from global social campaigns to large scale service design projects requiring vast amounts of customer research and stakeholder requirements gathering. Marketing personalisation is normally discussed in terms of data and tech. It’s actually more useful to think of it as a social phenomenon. 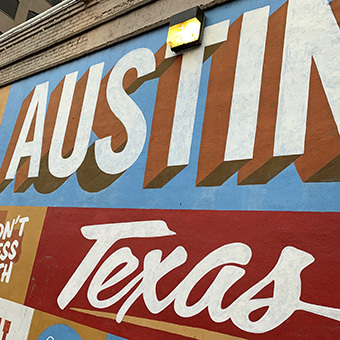 The moment you arrive at Austin airport the city's slogan greets you with ‘Keep Austin Weird'.